HISTORY AND NATURE, 365 DAYS A YEAR. L’accesso da Torino avviene da Pinerolo direzione Bricherasio-Val Pellice. Una volta giunti a Bobbio Pellice si prosegue fino a Villanova 1220 m, e da qui a piedi su mulattiera o strada sterrata (1,30 ore circa). 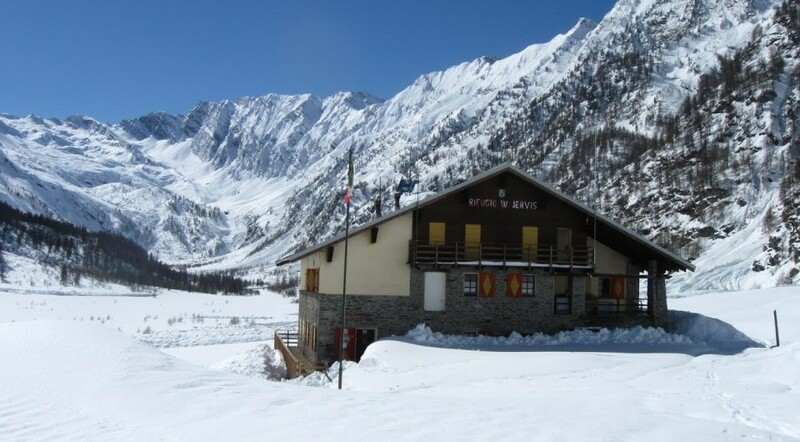 Se avete molti bagagli perché prevedete una lunga permanenza, potete usufruire di un passaggio con i mezzi del rifugio. “The building was inaugurated in 1950 and dedicated to the memory of CAI Scholar Willy Jervis, engineer and partisan, member of the Action Party, killed by the fascists in 1944 at only 43. The refuge is dedicated to all the partisans of the 5th Division “Freedom and Justice”, fallen in the War of Liberation. In 1976 the building burned down, but it was rebuilt and renovated thanks to the help of many volunteers, while maintaining the original appearance. It reopened in 1979 with Roby Boulard, who is still a mountain guide and the manager of the refuge. Today the Refuge W. Jervis is renowned for its hospitality, excellent cuisine and pleasant cozy atmosphere for the guests, who can find the door open and a hot meal 365 days a year.